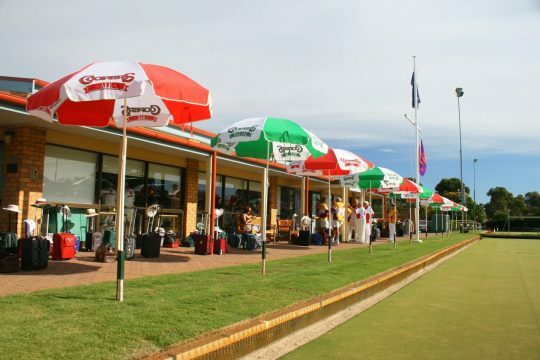 Hope Valley Bowling and Community Club is situated in the lovely north east suburbs of Adelaide, South Australia just 5 minutes from the Tea Tree Plaza shopping centre. The club has three lawn bowling greens in excellent condition all year round – two Tifdwarf grass, one Santa Anna. These greens are well maintained by the Greenkeeper, Volunteer Greens’ Manager and other volunteers. Next to the greens is a licensed clubhouse with a bar and fully functional kitchen. The clubhouse is large, light and air-conditioned and can seat 120+ people. All facilities are available for hire for private or corporate events and provide great facilities for Lawn Bowling, Social activities and Community events. Hope Valley Bowling has around 300 members consisting of Pennant, Social, Indoor and Night Owl bowlers. Our membership spans a wide range of ages and abilities, with options for both social and competition members. The club welcomes new bowlers, junior bowlers and experienced bowlers. Coaching is available free of charge with five Club coaches who hold a current National Level 1 Accreditation. In addition to social and competition bowls the Club has a number of social events throughout the year, including our Friday night 2 course dinners. A Board of Management is responsible for the management of the overall facility as well as committees for social events, men’s and women’s sections. The Club has won two Clubs SA Awards for Excellence in 2016 – Small Metro Club of the Year and Bowling Club of the Year. Season 2016/2017 was our most successful year, with 8 Pennants won over the three days of Pennant Competition.